How To Perform Massage To Cure Cervical Spondylosis? The practitioner is standing behind the client, picking up or kneading the trapezius of the client. The massage manipulations include picking up and kneading. From occiput to acromion process of scapula, the muscles on which can be deeply relaxed. 5 to 10 minutes is enough. 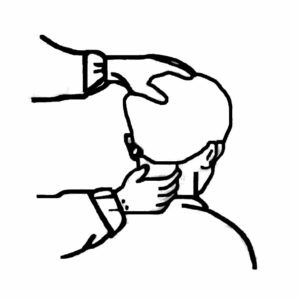 The client is sitting, and the practitioner is standing beside the client, with one hand holding up the client’s forehead and another hand grasping the posterior neck muscles, thumb and fingers together on both sides of the posterior neck muscles. Performing the picking up manipulation for several times with 5 seconds interval for a rest. The pressure during each manipulation increases gradually.